Executive coaching has been used in organizations for decades, but it continues to grow as coaching becomes an increasingly recognized field used by more than just top executives. Companies hire executive coaches to work with all ranks of employees from top executives to front line employees. Focus areas of executive coaches revolve around leading and managing people, communicating effectively, teamwork and innovation. If you are thinking of becoming certified as an executive coach, it could be a lucrative move as executive coaches earn more than general life coaches, at $300+ per hour with annual earnings topping six figures according to the 2012 Sherpa Coaching Survey . So what does it take to become a certified executive coach? The first step to go achieving your executive coaching certification is determining your focus area. Of course it is an option to get certified as an executive coach without a specialization. However, the most effective and successful executive coaches have a specialty area. Examples of specialty areas include teamwork, change management, emotional intelligence, leadership development, business development and sales coaching. A good way to start thinking about this is to look at your past experience and determine what skills could help set you apart from the competition. What have you already done that will contribute to your credentials as a coach? Do you have a special talent or technique that you developed and want to share as a coach? What is your background? Management? Human Resources? Business Development? Use your knowledge and experience to help you create a niche for your coaching business. The second step to getting certified is determining which program is right for you based on your focus area. It’s important to note that coaching schools do vary when it comes to life coaching versus executive coaching. Executive coaches describe some life coaching programs as too informal for the business world. The language is designed for individuals and general life topics versus executive coaching topics. For this reason, it is important to narrow down your choices for certification based on schools that focus on executive coaching and use business language. The following four schools are examples of programs that focus on executive coaching and will help you understand what criteria are important to examine as you begin your research. For purposes of this article, we focused on program curriculum, length, cost and mode of delivery (face to face or distance learning). The Center for Executive Coaching Executive Coach Training Program can be completed entirely by distance learning. The program specializes in executive, leadership, business/organizations, career/transition, coaching other coaches, internal, and small business coaching. The focus of the program is on practical results for leaders with the goals of delivering value and outstanding results for coaching clients and establishing yourself as a top level coaching professional in your market. The program includes marketing support to coach trainees to assist in attracting clients, pricing services and building solutions to help grow your business. It is structured for busy working adults, allowing a self-paced learning environment with you setting the pace for your progression and completion. There is no time limit imposed. The cost for the program is $4950. The Executive Coach Training Program at Envision Global Leadership is a face to face learning experience based in Los Angeles, California. None of the program may be completed through distance learning. Envision’s focus areas include change leadership, assessments, leadership development and executive coaching. Envision’s mission is to create significant change in clients through their specifically designed approaches to coaching. The philosophy is based on helping clients use successful beliefs and behaviors to create a strategy for success based on research based behaviors and techniques for leadership. The program is comprised of six four-day modules costing $1190-$1490 each. The program takes approximately six months to complete. The Professional Coaching Certification Program (PCCP) at Duquesne University is a combined face to face and distance learning program. The program specialties include leadership, executive, business/organizations, small business career/transition, life vision and enhancement, personal/organizational and relationship coaching. The program is geared toward professionals who want to start or build an external coaching practice as well as internal coaches focused on organizational development within their company. The program is completed in eight modules, each building upon the last. 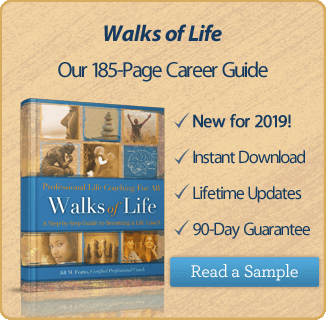 The program takes approximately seven months to complete and costs $6,599 plus books and external professional coaching required by the program. Corporate Coach U’s Advanced Corporate Coaching Program is a virtual program aimed at providing advanced level coaching skills to professionals. The program takes a coach approach, but uses business language targeted for corporate situations with professionals, teams or organizations. 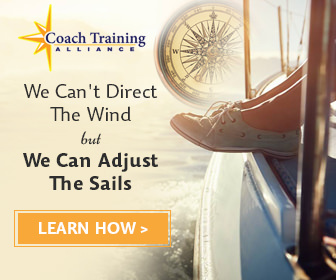 This program specializes in corporate coaching and is for internal and external coaches, trainers, managers and professionals who want to use advanced coaching skills. The program is self paced and costs between $6090-$7690 based upon training route chosen. These are a small sample of the executive coaching programs available. You can find more ICF accredited programs at www.coachfederation.com. Programs can be searched based on various criteria including distance learning options, location and specialty area. Once you have completed your research, the final step is to enroll and complete the program. Most program can be completed in less than one year. As you are in training, it is important to start building your portfolio of experience. Like any new business, potential clients will base their decision to hire you on your credentials, skills and past experience. This is especially true of companies investing in executive coaching. If you have a focus area based on your experience, your past experience can help get you in the door. Even if you are a newly certified coach, your track record of success as a sales executive, for example, could help land you a sales coaching contract. Many executive coaches transition to coaching from a corporate or small business role. When marketing to and securing executive coaching clients…experience counts. Once you have finished your certification, it is time to take your next steps. Will you work for yourself or seek employment with a coaching practice or large company?